Many people suffer from sleep problems while traveling. Most people can't deal with jetlag easily. Trying to stay awake when you're sleepy and trying to sleep when you're not can be frustrating. It's also hard to sleep when you're in a place you are not used to. One of the most common reasons as to why some people have trouble on sleeping while not in the comfort zone is that the light. If you're one of those travelers who is facing the same issue, you must know that a simple use of sleep mask could change your travel game forever. Some don't consider using sleep mask simply for the way they look. Though, I personally think they're not, some people believe they look silly, stupid even. But, would you compromise your sleep just because of this petty reason? I'm entirely dependent on travel neck pillow and sleep masks to get a nice rest before I go on my trip. Whenever I forgot one while traveling, I normally use a shirt or a towel to cover eyes. I always envy those people who can easily sleep whenever they want, but for people like me, sleep masks are very important. And, actually, they are ideal for all travelers. With different types of sleep masks available in the market, choosing the one that is perfect for your needs can be a little bit complicated. There are three main types of sleep masks that may suit your needs. Let's explore these products and their health benefits thoroughly which will help you select which types are worth considering, derived from your needs and preference. You are going to feel more recharged while on the road before you know it! A sleep mask, also known as an eye mask, can make you fall asleep better and easier. They're the most extensively used eye mask products today. Its main role is to stop light from getting into your eyes to help your body rest more easily. You may either utilize it in the evening or during afternoon naps if you find yourself in a place with a significant amount of light. No matter where you choose to use it, they really are effective in making you fall asleep easier. 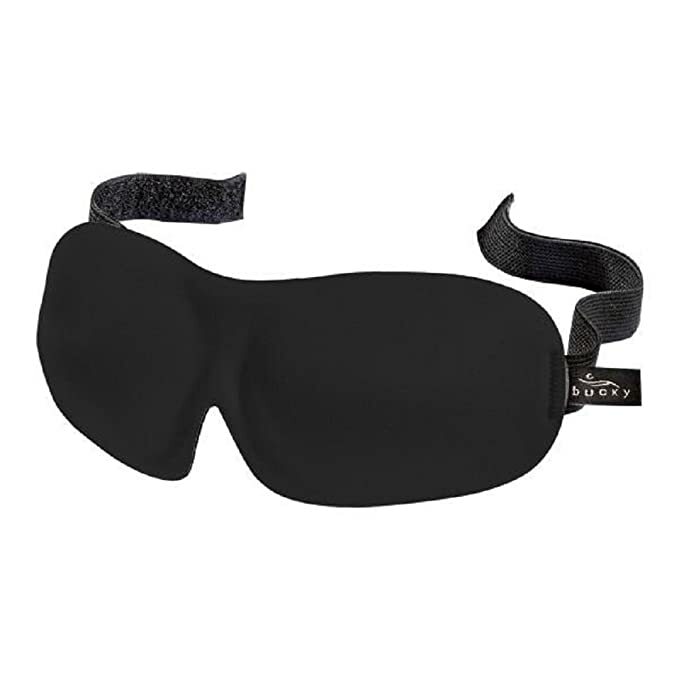 You are able to purchase a sleep mask for sleep almost anywhere you are able to find typical household goods. If you're a frequent traveler, you probably gathered your fair share of free sleep masks you're different airlines. They normally cost between zero and a few cents. Since I am absolutely obsessed with sleep performance, I really don't mind having to pay more on products that help me make the most out of my sleep. But like what I said, each of us is different. You are able to find unique sleep masks that have mint, lavender, and other natural scents which will give you healing benefits. The herbal scents will help pacify your sinuses, lessen stress, and clear out your nasal passages. These masks also do a nice job in stopping light from getting into the eyes. For me personally, sleeping mask with lavender scent makes the trip more relaxing. The best thing about gel masks is how versatile they can be. The gel-like elements of it let these masks to captivate either hot or cold temperature. A heated mask is a brilliant solution for stress relief and relaxation all around the eye contour muscles. A cool mask could lessen redness and inflammation over the eye contour area. Many of the common reasons why this happens are likely to be from surgery, sun exposure, eye allergy, or perhaps insomnia. A facial mask is a totally different product but gives the same health benefits as the gel mask. This form of sleep mask is placed right under the eye area to remove swelling, facial lines, and eye bags. As you have seen, there are a lot of different types of eye masks, so for sure you know that there are also many brands of sleep masks available. But how do you know which sleep mask suits your travel needs? Are you a type of sleeper who needs total darkness in order to be put into slumber or you feel more comfortable when there is a little bit of light on the side of your eyes? 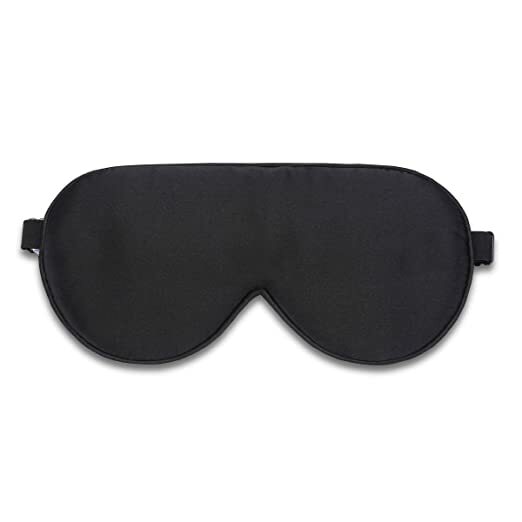 Making use of a good sleep mask is an efficient way to blank out the light when you cannot control the source, like when you are riding an airplane, car, or train. And a specially-designed soothing eye mask is able to release pressure and exhaustion after a long day. I have tried and tested different eye masks throughout the last couple of years of traveling, both while trying to sleep and only for relaxation. 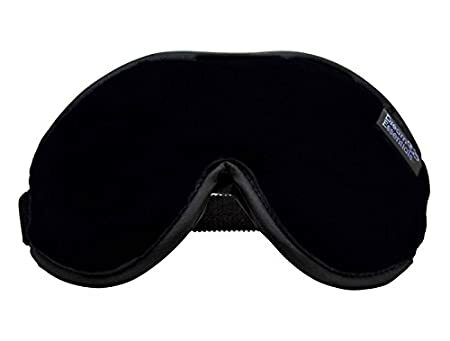 So, to help other travelers to choose the right eye mask for them, I put up reviews on the top rated sleep masks people use for them to have a better sleep. The Bedtime Bliss Contoured Eye Mask is an extremely comfortable sleep mask that molds throughout the contour of your eyes and face. Wearing it feels soft and comfortable; the mask effectively blocks out the light coming from any source and helps you have a soothing night's sleep. Aside from this, the mask also has a unisex design that lets it be used by any gender. The size of this mask is 9.4 x 0.2 x 2.8 inches. Keep in mind that while big might be considered better, in terms of sleep masks, it is usually the other way around. This mask is slightly lighter so you will hardly feel the mask on your face. According to the manufacturer, this mask offers more than enough eye movement for men and wouldn't smudge women's makeup, which makes it ideal to use anywhere. I definitely enjoy its ability to block out lights completely. It is also durable and comfortable to use that I can completely open my eyes even if I have it on my face. If you prefer a fabric sleep mask that is light-weight and still comfortable and blocks out light completely, the Alaska Bear natural silk sleep mask is another good option. I can assure you that it really blocks out the lights no matter how bright the light is. And more importantly, it is made from a soft and breathable natural Mulberry silk which feels mild on the skin. The straps are also impressive as it is elastic and adjustable so finding the perfect fit is not a problem. The adjustable strap is on the back of the mask, which is ideal if you're a side sleeper, and there is no Velcro so you don't have to worry about getting your hair get caught. All in all, the Alaska Bear sleep mask does its job very well. If you are looking for cooling, aromatherapy, or particularly padded straps, then you will find it on this mask. If you are looking for a simple sleeping mask that doesn't take up much space and you will hardly feel over your eyes, then you cannot go far wrong here. The Lewis N. Clark Comfort Eye Mask offers unified comfort whether you are traveling or sleeping at home. Made of 15D rip-stop nylon, this lightweight, breathable fabric guarantees that you do not overheat while you are sleeping. With its soft cotton padding, you are not going to feel any hard pressure over your eyes. The elastic strap can adjust from 15.8 inches to 27.6 inches, which makes it easy to modify depending on your preferences, and can be worn by any gender. Furthermore, this mask uses a buckle, not Velcro, so your hair wouldn't tangle. While you are able to wear it as tight or as loose as you want, it will offer complete darkness so you wouldn't be bothered by light whether you are on an airplane, at a bus, or in a hotel bed. The soft edge at the bottom offers additional protection against any light that may escape through. It is even able to be used to help with problems relating to irregular sleeping schedules, like shift work, or for making a perfect meditation space. One of my favorites is the Escape Luxury Sleep Mask. 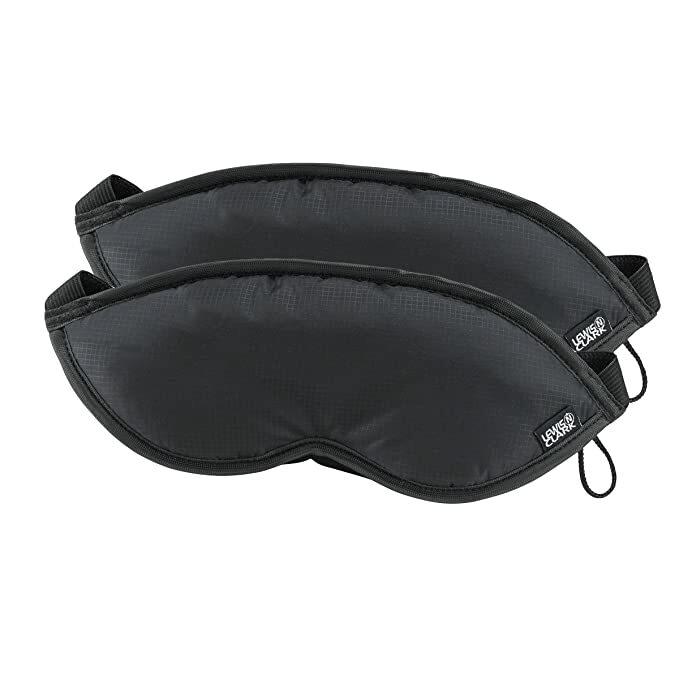 I think it has everything you could ever want in a travel sleep mask is offered right here. It's made with natural cotton to make sure the user will have extreme comfort. The mask also provides the user with an interior eye chamber so that your eyes never feel any weight. This chamber also helps with extreme light blocking, great when trying to sleep throughout the day. You will also get nice ear plugs, ear plug case, and carry pouch for the sleep mask. This pouch makes it perfect to quickly grab and throw in your luggage, backpack, purse, briefcase, or beach bag. All in all, having any of these face masks while traveling gives me composure knowing that I can sleep properly anywhere and anytime. 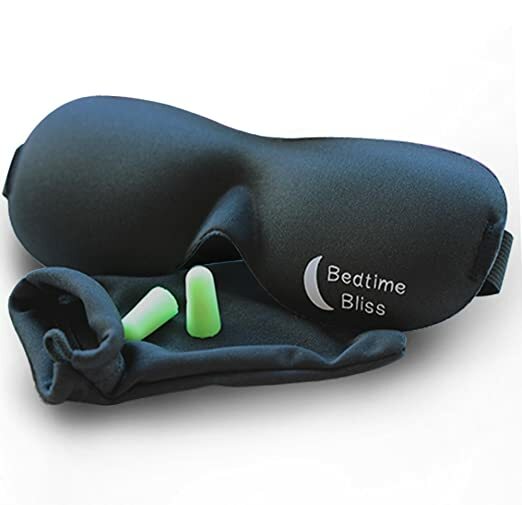 If you have a budget, then buying Dream Essentials Escape Luxury Sleep Mask and taking advantage of its comfort and the earplug comes with it would be a nice choice. But if earplugs are not your priority, then Blinks Luxury Ultralight Sleep Mask, Lewis N. Clark Comfort Eye Mask, or The Bedtime Bliss Contoured Eye Mask would be a nice choice too, but if you are looking for something that is cheaper for you, then Alaska Bear Natural Silk Sleep Mask is the one for you. Do you use sleep mask on your travels? Please share what you love about them and which brand you love the most in the comment below!